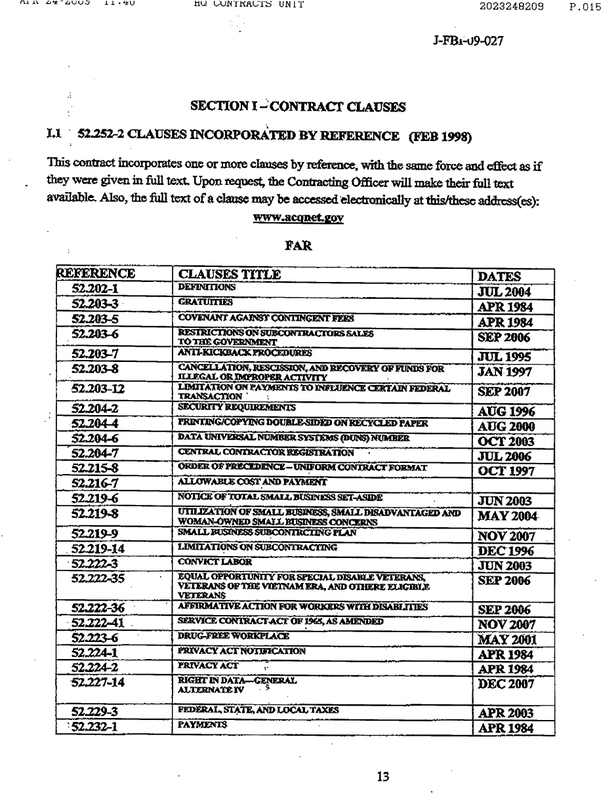 2009 October « CASE CLOSED … what really happened in the 2001 anthrax attacks? The doctors in the Intensive Care Unit at Lenox Hill Hospital in New York see a lot of very sick patients, but there was something particularly ominous about the bloody fluid that was fast filling the woman’s chest cavity. 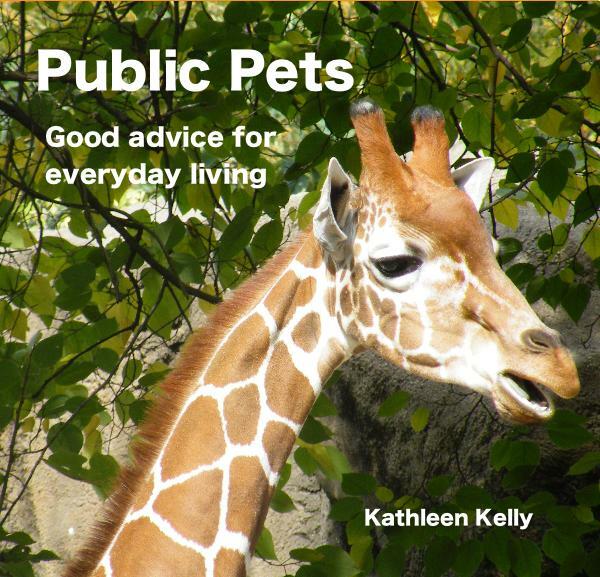 She had come to the emergency room on Sunday, feverish, short of breath, complaining of aching muscles. Doctors quickly put her on a respirator. Scores of FBI agents and New York police detectives were soon retracing the steps of the kindly 61-year-old Vietnamese woman who lived alone in the Bronx. But when lab tests failed to find any traces of anthrax in her modest one-bedroom apartment or the hospital storeroom where she worked, top investigators in New York became increasingly uneasy. 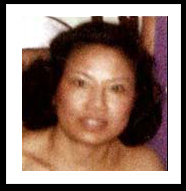 The case of Kathy Nguyen remained a mystery. until the end of the NAS study? 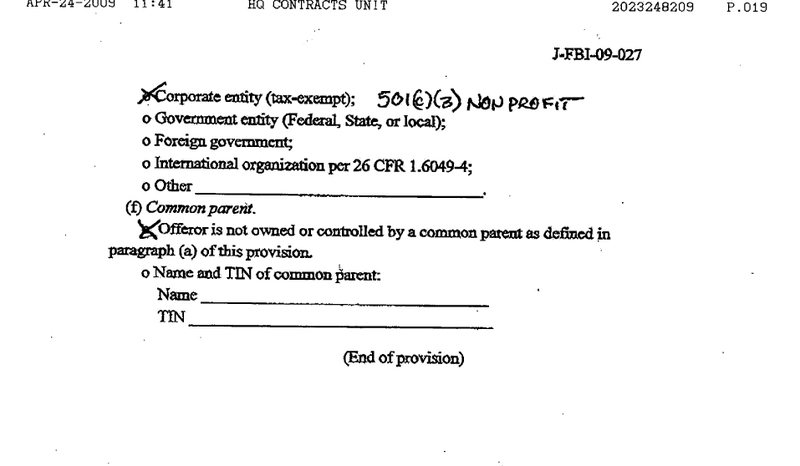 The above cites are the only references to FOIA which I found in the NAS/FBI contract. 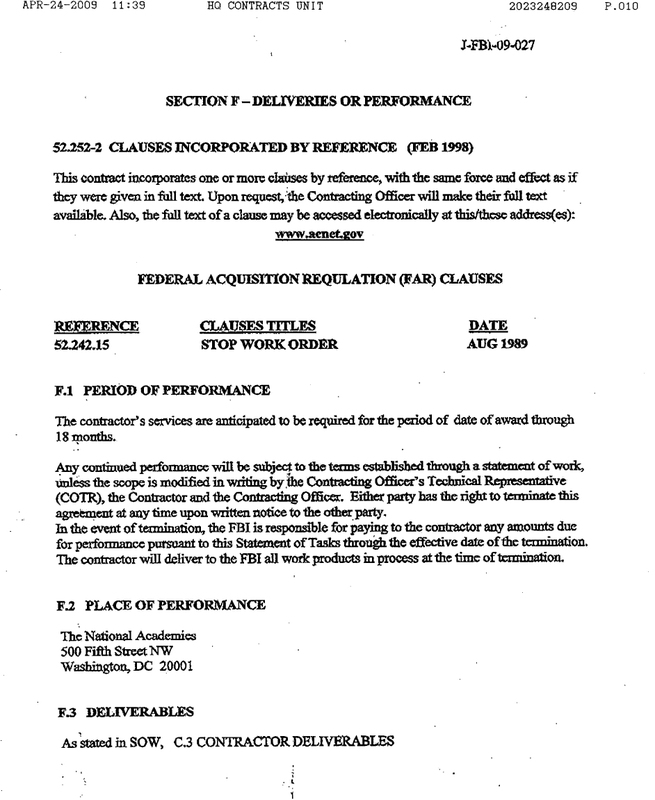 There is no reference in the NAS/FBI contract to withholding information until the end of the NAS study. 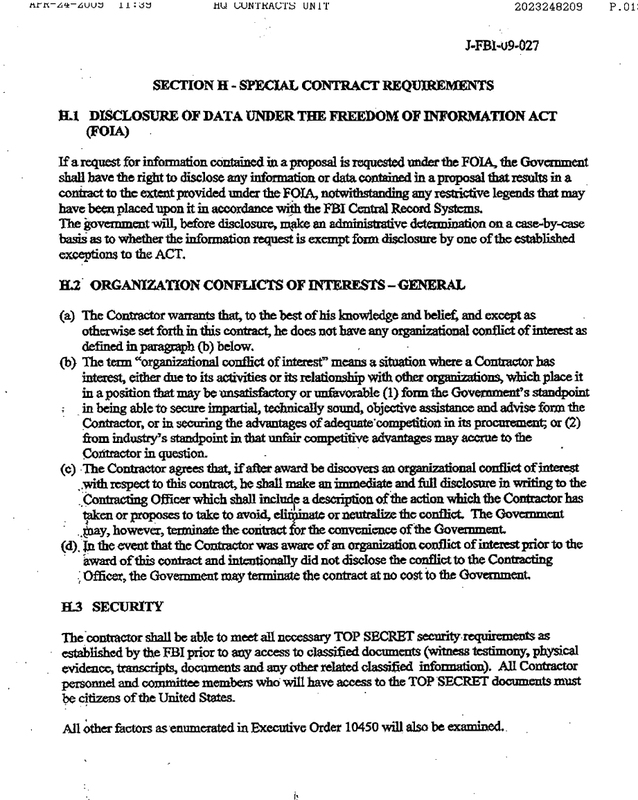 There is no reference in the NAS/FBI contract to withholding information without specific listing of a FOIA exemption. 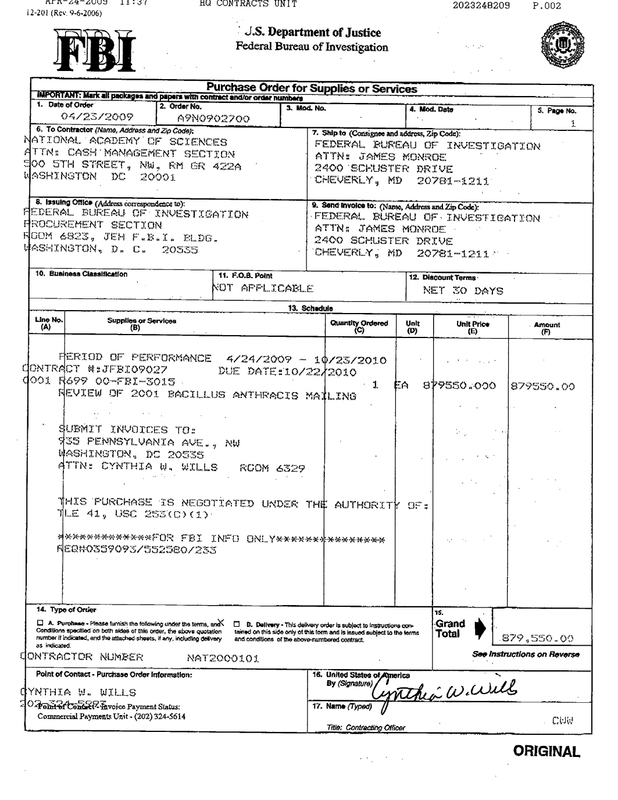 * does the NAS/FBI contract permit the NAS to draw conclusions regarding the guilt or innocence of Dr. Bruce Ivins? 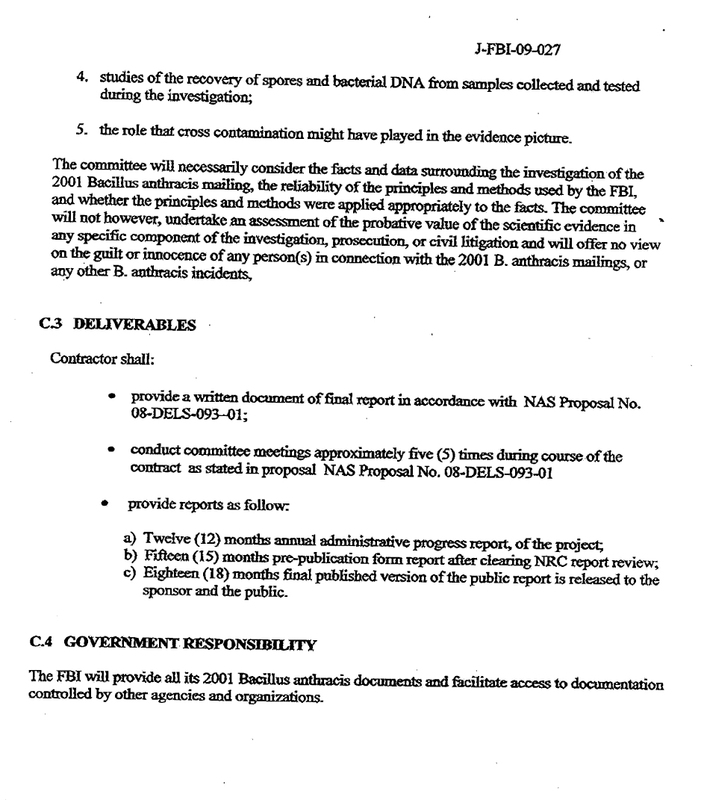 The NAS/FBI contract asks the NAS to determine whether “the FBI reached appropriate scientific conclusions” from use of various scientific approaches. 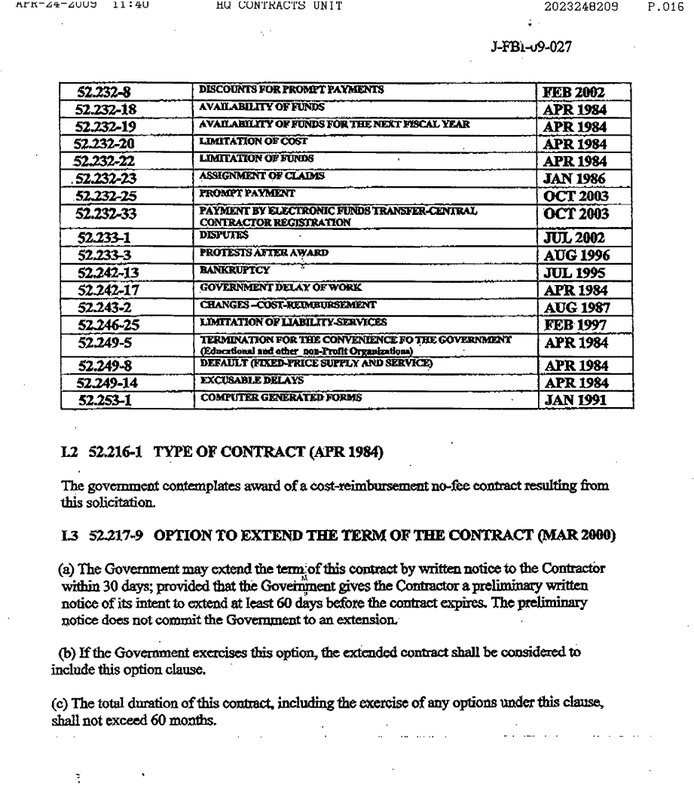 These two clauses from the NAS/FBI contract seem to be inconsistent. 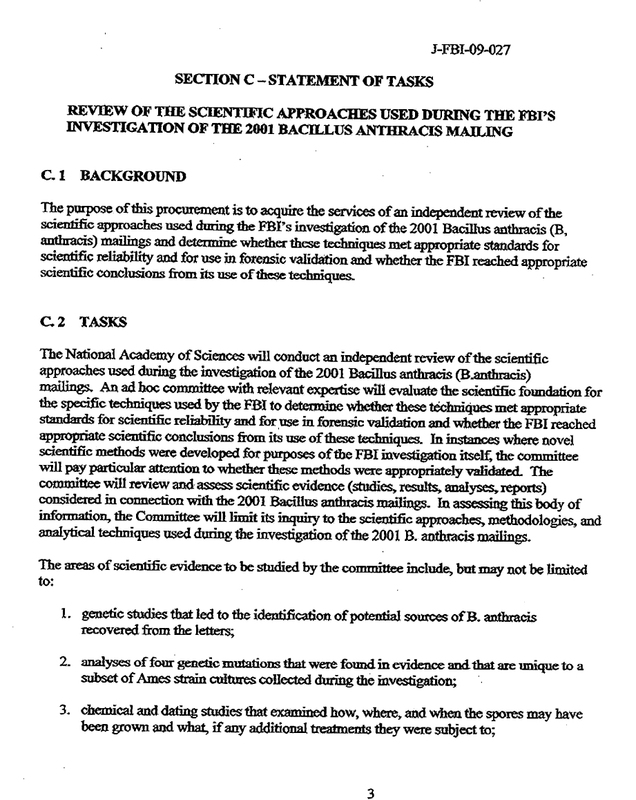 Since the FBI bases its case against Dr. Ivins on the fact that he, and only he, derived the attack anthrax from Flask RMR-1029, if the NAS ultimately concludes that the scientific evidence does not lead to that conclusion, and that the scientific evidence only identifies the beaker and not the perpetrator, would that not be a conclusion regarding the provable guilt or innocence of Dr. Ivins? 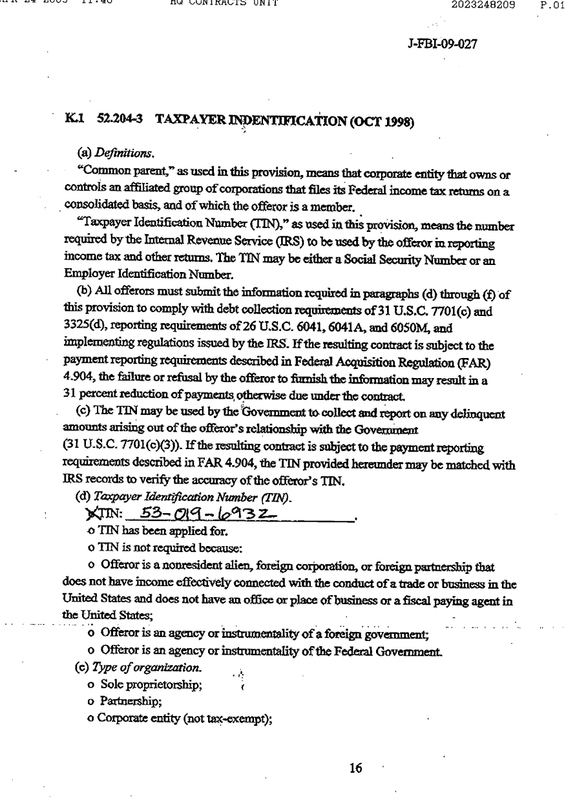 Given that there are such widely divergent views of the solution to Amerithrax, if and when the DOJ closes the case and additional information is released under FOIA, we could collectively promptly self-publish (at zero cost) a book containing all the documents that collectively we deem most material. That way if the DOJ is relying on any misapprehensions — such as the official and mistaken suggestion that the stamp misprint occurred only at Dr. Ivins post office rather than across states — the busy reporters will immediately have ready access to the documentary evidence. 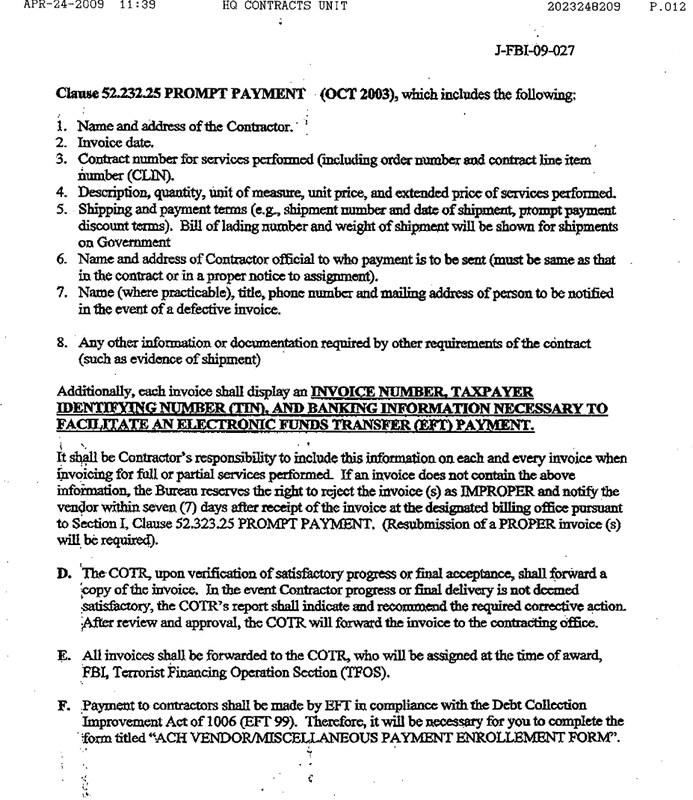 It could perhaps be made to be fully viewable online. So keep at the ready the documentary evidence that you think contradicts (or if you like, supports) the DOJ’s Ivins Theory. Congress established the bipartisan Commission for the Prevention of Weapons of Mass Destruction Proliferation and Terrorism to address the grave threat that the proliferation of weapons of mass destruction poses to the United States. lack of appropriate disease surveillance. One recent study from the intelligence community projected that a one- to two-kilogram release of anthrax spores from a crop duster plane could kill more Americans than died in World War II. Clean-up and other economic costs could exceed $1.8 trillion. Yet the nation’s level of preparedness for dealing with the threat of bioterrorism remains far lower than that of the nuclear threat. The near-term biodefense goal of the United States should be to limit the consequences of a bioweapons attack. The long-term goal should be to improve post-attack capabilities for rapid recognition, response, and recovery to a level that bioterrorism would no longer be considered a weapon of mass destruction. These goals cannot be achieved without the proper investment today. In January 2010, the Commission will be releasing a report card grading the Administration and Congress on their progress in implementing the recommendations of the Commission. … to which I would add that the current lack of knowledge as to who carried out the 2001 anthrax attacks and how they did it is a serious impediment to mobilizing the resources we need to minimize our future risks from bio-terrorist attacks. The Obama administration is working hard to curb nuclear threats but failing to address the more urgent and immediate threat of biological terrorism, a bipartisan commission created by Congress is reporting today. 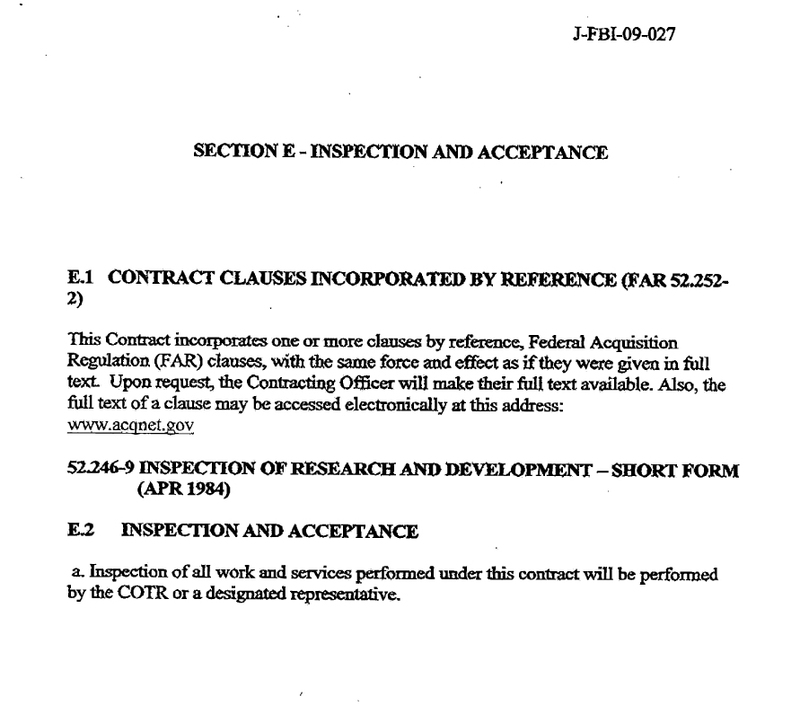 The government’s efforts “have not kept pace with the increasing capabilities and agility of those who would do harm to the United States,” the report says. I didn’t read the entire report, so I can’t say for sure it doesn’t include criticism of the FBI’s investigation of the 2001 anthrax attack, although this was not mentioned in the USA TODAY article. 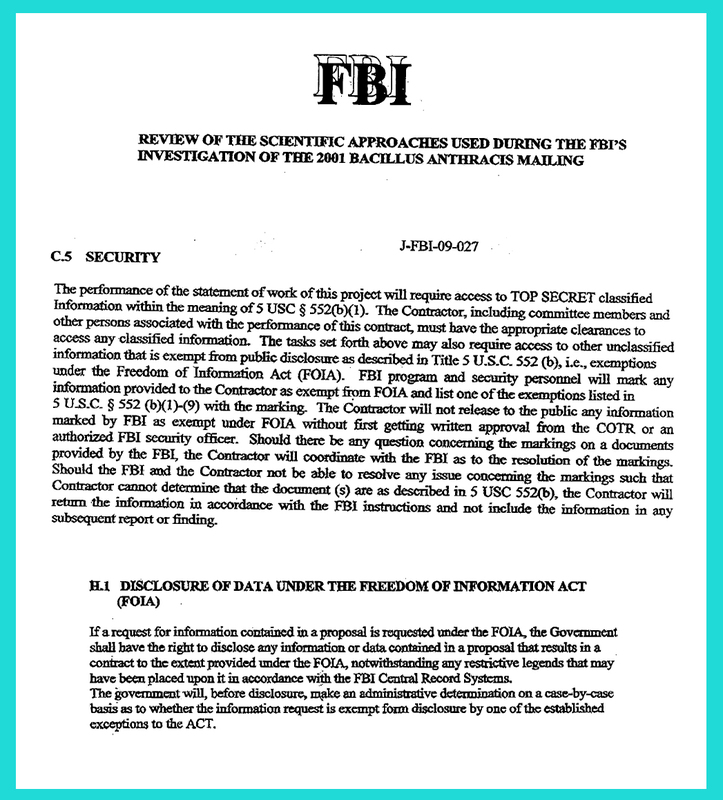 But how can we hope to understand what needs to be done to protect us from bioterrorism when the only example of an actual bioterrorist attack remains unsolved and shrouded in a veil of secrecy that extends even to the Congressional and Senate Committees who are supposed to exercise oversight responsibility over the FBI. 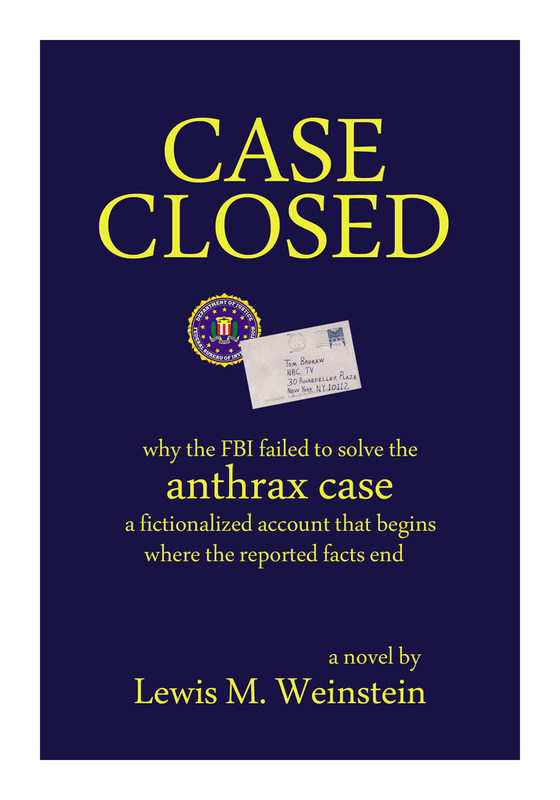 It is a national disgrace that the FBI continues to be allowed to defy Congress and leave the anthrax case unresolved more than a year after they stated that Dr. Bruce Ivins was the SOLE PERPETRATOR. If the FBI really has conclusive proof that Dr. Ivins was the SOLE PERPETRATOR or EVEN INVOLVED AT ALL, then they should close the case and make that proof available for serious review. Failing to close the case leads to speculation that they don’t have proof, or even worse, that the FBI is in fact shielding some other perpetrator(s). 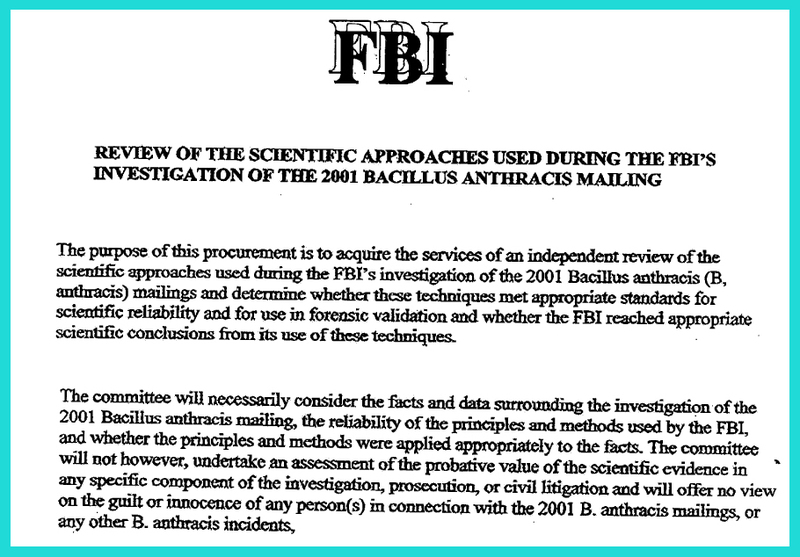 The FBI’s continued secrecy regarding the 2001 anthrax attacks is a major impediment to developing an effective bioterrorism policy in 2009. 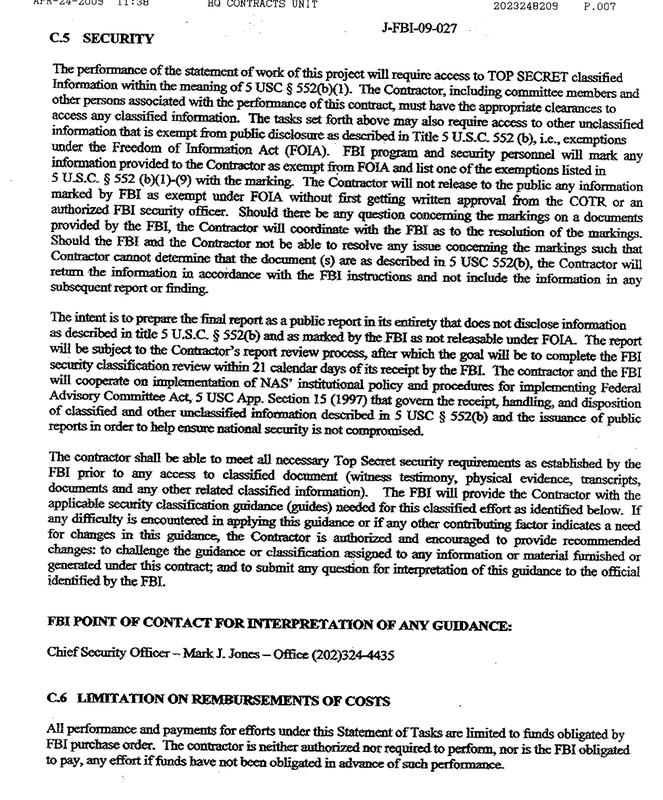 DXer reports he has received an email from NAS clearly stating that all materials submitted to NAS by external sources will be included in the Public Access File. This presumably includes the FBI-submitted documents which NAS had previously said would be sequestered until the end of their anthrax study. 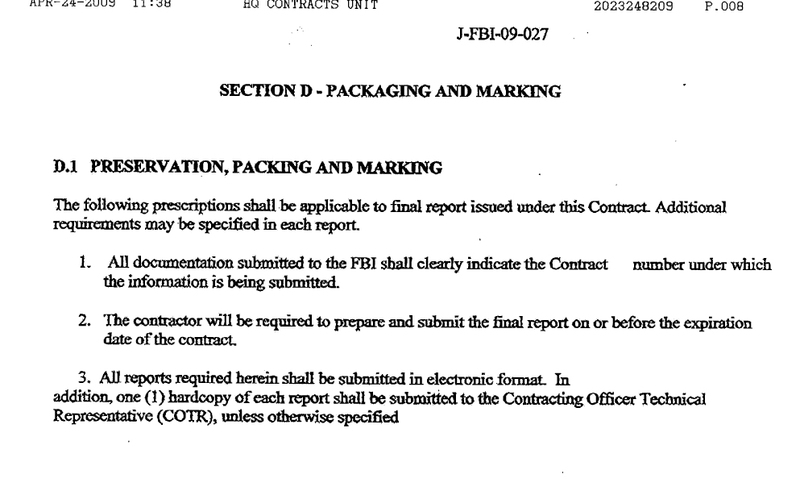 In addition, NAS has indicated that the anthrax study contract between NAS and the FBI will also be made available. NAS is to be commended for its decision. 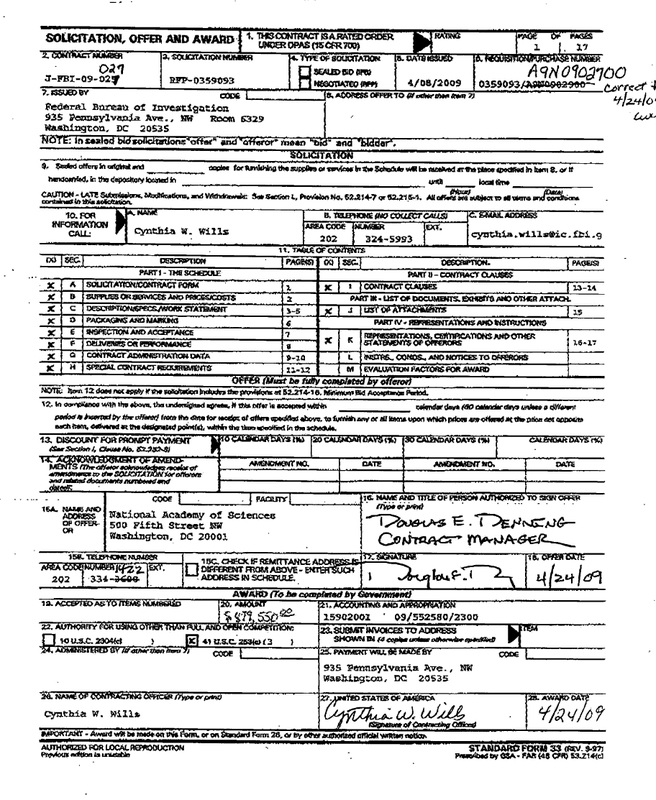 On this day, Oct. 21, in 2001, Washington postal worker Thomas Morris Jr. died after inhaling anthrax that had been delivered through the mail. Letters containing anthrax spores were mailed to several news outlets and two U.S. senators, killing five and infecting 17 others. Morris, 55, an employee of the Brentwood processing center, said a woman working near him found a letter with powder. A doctor checked out Morris and sent him home. Morris called 911 just hours before his death, complaining of labored breathing and chest pains. “They never let us know whether this thing was anthrax or not,” Morris told the dispatcher. 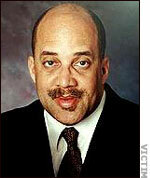 A day after Morris died, 47-year-old co-worker Joseph Curseen also died from exposure to the bacteria. The Brentwood station since has been named for both men.